Infusion or Sprockit will run correctly if the hardware is it using is of the optimum level. We have a minimum specification that the program will run at its best on. See here for the article. Select the drive letter to use. For consistency try to use the same letter for all work stations e.g. I drive or S Drive. There is no advantage to installing the Infusion .exe locally and then pointing the shortcut to another location for the data table. It can in fact cause problems with the upgrade if someone only updates one exe on the network as this will cause the data to upgrade and downgrade each time the different workstations are used. Historically this process was used where some clients had additional software installed which prevented applications being run across the network. Upgrades may only be necessary on the Server - please always read the release notes. It is recommended that you create a mapped drive to the C:\Accounting\Infusion. 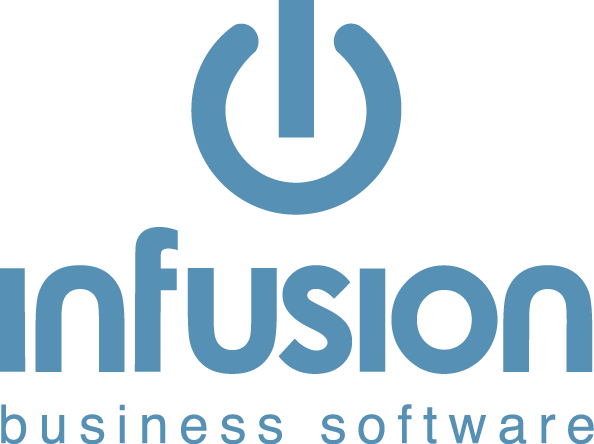 Infusion Support will set up, maintain and upgrade the software for clients on the Hosted server. The users will be provided with an RDP icon together with a login and password to use. There is no need to install Infusion locally. Support is always available for versions released over the previous three years. The Software is designed and supported to be operated on a Windows based operating system of Windows 7 and above. It is highly recommended that all users upgrade to Windows 10 system wide. While the software does work on a Windows XP machine, Microsoft has retired the support for this operating system and it is not supported by Infusion. Clients who wish to use the Cloud servers must upgrade as we don’t allow Windows XP machines to connect to the servers. Clients who wish to use the Cloud hosted server will not be able to connect to the cloud server and must upgrade to Windows 7 and above. The use of Apple OS and Linux are not supported for local installations of Infusion. While there are solutions available to run Windows based solutions on these devices they are not recommended or supported by Infusion as there are just too many unknown factors. Sites that run a mixture of operating systems must set DEP to exclude IBSAPP.exe on the mapped drive. DEP will also need to be set for any local installations of Infusion as well. Select Add and then browse to the IBSAPP.EXE (or SPROCKIT.EXE) file on the mapped drive or Parallelfox if this is the error that is being received. Networks with a mixture of Windows 10 and 7 will need to set DEP on all Windows 10 machines. Clients using the Cloud Servers may connect with Apple OS devices. There will however be some functional operation differences including the Function keys, Right Click and printing. To be completed on all computers on the network by a User with Administrator rights. In Windows Builds from 1803 onwards Microsoft has disabled SMB1 by default. This will prevent workstations from being able to see the server where Infusion is installed, as part of the Infusion installation involves turning off SMB2 (which would force the workstation to use SMB1). Search for ‘SMB1.0/CIFS File Sharing Support’ in the list of optional features that appears, and select the checkbox next to it. Type SMB2, and then press ENTER. A number of factors can affect the speed and performance of Infusion. VoIP phone systems - some older VoIP systems only work at a maximum of 100 MB/s and even if the computer is installed with a 1 GB Network card the VOIP phone will drop the network speed down. All work stations must have AV software installed however, they must be set to exclude the mapped drive. For Windows 10 computers we recommend the use of Windows Defender Security Centre that comes as part of the Windows computer. The network speed must be a at least 1GB on each and every work station and the server. The use of 10/100 network cards and connections is not supported. Having one work station running at a 100MB has previously proven to reduce the speed of other work stations. Wireless networks are also not supported due to the lack of connection reliability and speed. Can I Add A Serial Number Later?